Come experience the charm of southern Oregon with a romantic getaway or family holiday at Gold Beach's Ireland's Rustic Lodges. With its incredible location on the Pacific Ocean and views from Ireland's Lighthouse stretching down miles and miles of shoreline, a stay at Ireland's Rustic Lodges offers a holiday filled with relaxation, recreation and exploration. 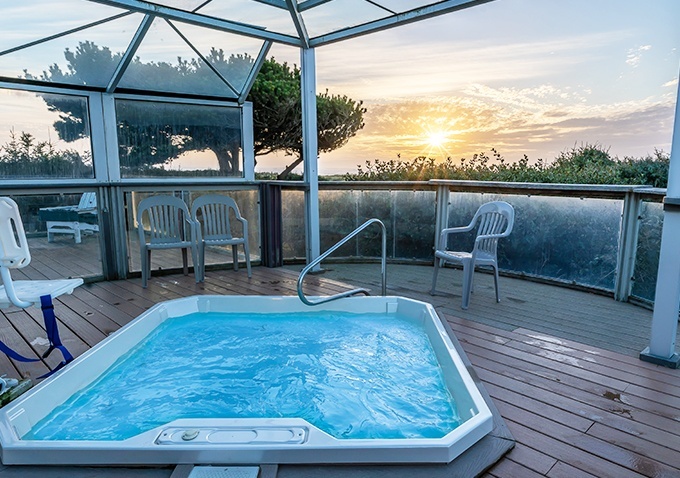 Take a dip in one of three ocean facing hot tubs, jump into exciting outdoor adventures in the numerous state parks just minutes from the hotel and explore the shops, restaurants and beauty of our diverse coastal community. We've love to see you soon. 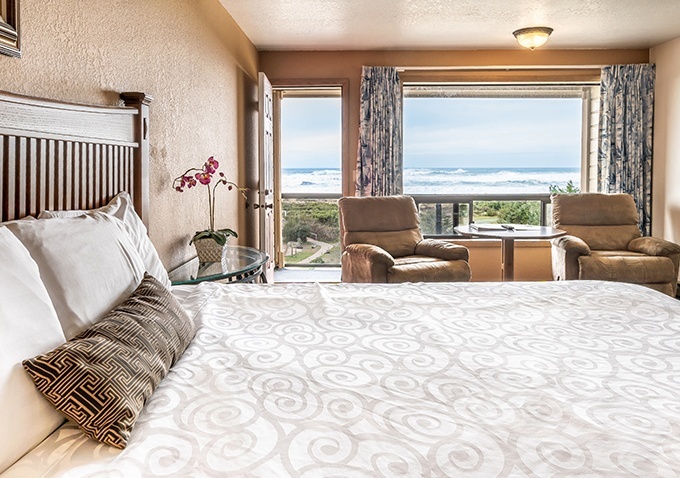 From ocean views in cozy cottages to spacious suites, condos and private beach homes, our accommodations range from relaxed to grand, from vintage knotty pine to sleek and modern. Whether you're looking for something just for the two of you or a private coastal home that can sleep up to ten, you'll find it at Ireland's Rustic Lodges on Gold Beach. Wood burning fireplaces, three relaxing outdoor hot tubs, complimentary breakfasts, free WiFi, private beach paths, mini kitchens and daily-housekeeping, these are just some of the Ireland's Rustic Lodge amenities that will help you to create your most memorable vacation in Gold Beach, right on the wild and beautiful southern Oregon coast.